Jimmy Vielkind at Capital New York has a really cool piece up today digging into the delegate selection rules arcana in the Empire state. It's too early to say whether the G.O.P. field will have coalesced by the time of the primary, which [adviser to the New York Republican Party state committee, Tony] Casale said would be in either March or April of next year. Democrats and Republicans must agree on a date, and pass a bill through the Legislature. In 2012, New York's presidential primary was held on April 24. Currently scheduled for the first Tuesday in February, the New York primary will have to be moved back to comply with the national party rules on delegate selection. Republicans in the state expressed a preference for a March 1 primary earlier this year, but as FHQ mentioned then, such a decision would require some buy-in from Democrats in the state legislature. Another late April primary would make New York a bridge between mid-Atlantic primaries in Delaware, Maryland and Pennsylvania and New England primaries in Connecticut and Rhode Island. As was the case during the 2012 presidential election cycle, New York Democrats would be eligible for bonus delegates for both holding a later primary and clustering primaries with regional partners.1 Republicans may want an earlier primary, but Democrats in the state are differently motivated. The state's delegates will not be awarded on a winner-take-all basis, but rather according to whichever candidate does best in each of New York's 27 congressional districts. 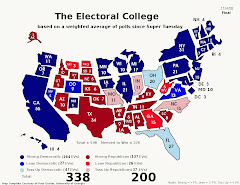 A candidate could capture three delegates if they win an outright majority; otherwise, the leading candidate will win two delegates and the runner-up one. To be quite clear, New York Republicans abandoned their truly winner-take-all delegate allocation plan in 2011. In 2012, the party moved to and utilized an interesting hybrid allocation. 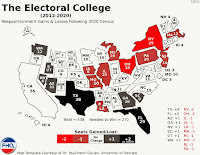 Since the redistricting process had yet to be completed, New York Republicans apportioned two delegates to each of the 29 districts drawn for the 2002-2012 census cycle. Those delegates were awarded in a winner-take-all fashion to the winner of each congressional district. The remaining 34 delegates were at-large and were proportionally allocated to candidates based on the statewide results in the April primary. New York now has just 27 congressional districts and under the delegate selection proposal the Republican Party will vote on on Tuesday (June 2), each district will be apportioned three delegates. Unless a candidate receives a majority of the vote in a district, the delegates will be allocated in a manner similar to how Georgia Republicans allocated their district delegates in 2012. 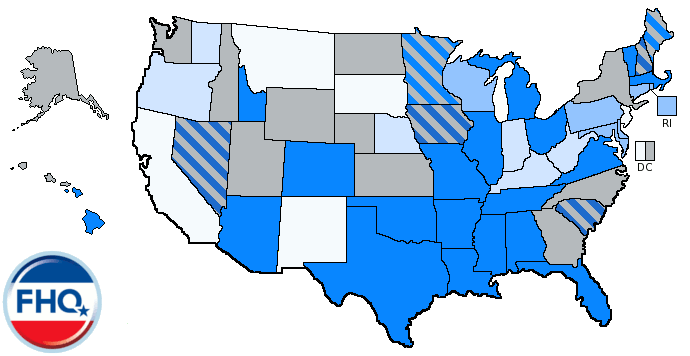 It is not specified, but one could assume that the at-large delegates will be similarly allocated as compared to 2012: if there is a majority winner statewide would be awarded all of those at-large delegates (if not trigger a truly winner-take-all allocation of all of the delegates, both at-large and congressional district). Such a plan would be compliant with RNC rules in March or April and within or outside of the proportionality window. The delegates will be pledged to the winning candidate on the first ballot, but will be free to select whomever they choose in the unlikely event of a second convention ballot. Read Vielkind's story for the background on this change stretching back to 2012. This "Rob Cole rule" is an interesting one though. The change it brings about speaks pretty directly to a post FHQ wrote a few weeks ago about how much control candidates -- particularly Republican candidates -- have over the delegate selection process. New York has in the past been a state that has candidates file slates of delegates to be elected directly on the primary ballot. However, the Republican Party in New York will break with that tradition in 2016 (if the rules change is passed on Tuesday). The planned change would relieve campaigns the added task of filing delegates, but in exchange the candidates would give up control over the selection to state and local party officials. That eliminates some of the types of issues that both New York and Massachusetts delegate selection processes had in 2012. Again, Republican candidates do not technically have the right to review delegates bound to them before the national convention. Overall, we now have a bit more information on the 2016 Republican delegate selection process in New York. Sure, the primary is scheduled for February now, but that has never really been a threat to the stability of the national parties' calendar plans. However, June is upon us and the negotiations between New York Democrats and Republicans does not appear to have started. We also now have a some clarity on how delegates will be allocated in New York and how much direct control over the selection process the candidates/campaigns will have. 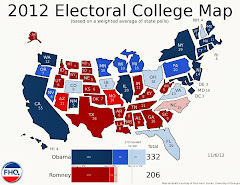 1 Even if the Pennsylvania presidential primary were to move to mid-March, New York would still be eligible for those bonuses in a partnership with Connecticut or Rhode Island. The clustering bonus requires a coalition of at least three contiguous states.